Oxytocin is a life-saving commodity for women. 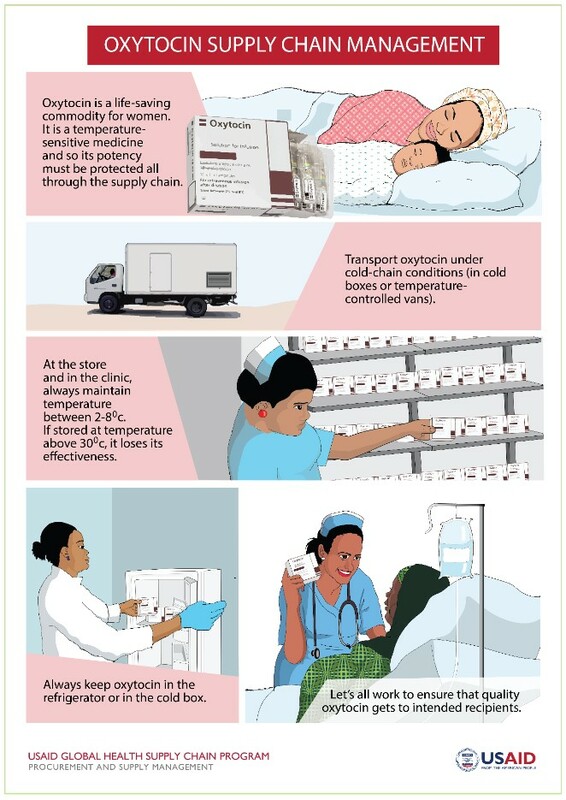 It is a temperature sensitive medicine and so its potency must be protected all through the supply chain. This poster provides a basic overview of how oxytocin should be stored and transported.